Home › Blog › Harvest Season is Here! Fall is a very exciting time of year in Niagara when harvest is underway and wine country is buzzing with activity. This year has been an amazing year for grape growing and the local wineries are busy picking the fruits of their labour to transform the bounty of this year’s crop into exceptional wines. 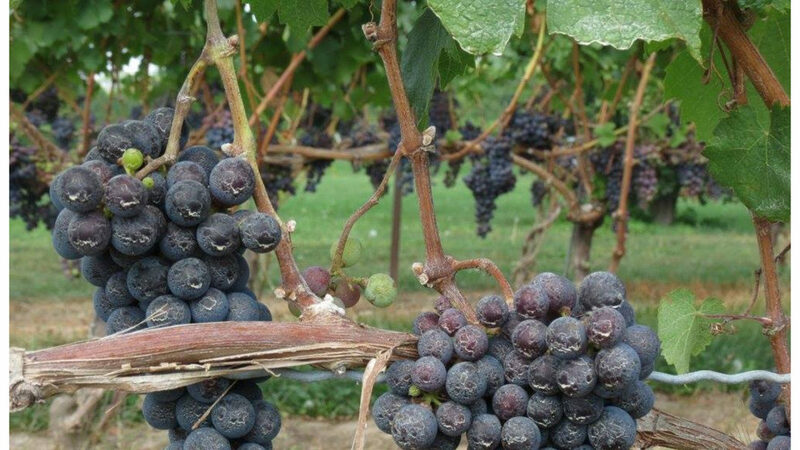 There is really no better time to visit the Wineries of Niagara-on-the-Lake. Many of the wineries produce estate grown and bottled wines so all the harvest activity happens on premise. You can immerse yourself in wine country and appreciate up close the intricate work that goes on behind the scenes to make the wines you love. Book your stay a one of our many and diverse bed and breakfasts and while you are visiting, stop at a few wineries where many of the staff at each would be delighted to answer any questions you have about this year’s harvest and the outlook for the 2018 vintage. Harvest can be quite fascinating and winery staff love to share their knowledge. For example, did you know that Chardonnay and Pinot Noir grapes destined for sparkling wines are typically the first grapes to be picked? These grapes are harvested early at a slightly unripe point to help maintain acidity in the finished wine so that your glass of bubbly is zesty and refreshing. With so much to see and do, one day isn’t enough! Niagara-on-the-Lake has lots of great experiences for you to discover, book your stay today at one of our beautiful bed and breakfast’s, inns or vacation rentals.